Today’s Malorossiya declaration gives most international parties who are observing the conflict in Donbass, most of what they have wanted for years. On inspection, the proposals are the opposite of radical, they are entirely reasonable. They do not require the Russian Federation to absorb new territory and it would restore human rights in Ukraine/Malorossiya to pre-2014 levels or better. Predictable condemnation of the declaration of the state of Malorossiya has come from EU states, the Kiev regime and even Russian officials. But on closer inspection, Malorossiya could be a win-win situation for Europe, Russia, the United States and for the people of Malorossiya. For those who have been following measures that many politicians in Donbass and The Russian Federation have taken to integrate the bureaucratic, financial and logistical ties between Donbass and Russia, today’s announcement does not call for Malorossiya to become part of the Russian Federation. “Malorossiya is an INDEPENDENT, SOVEREIGN state with a new name, a new flag, a new constitution, a new state structure, new principles of social and economic development, and new historical prospects. But this is NOT A REVOLUTION! This is a return to history. This is a novelty that restores, not destroys”. Thus, for those in Russia worried (however inappropriately) about international repercussions from the west about absorbing new territories, the Malorossiya plan, if fully implemented and accepted honestly, would put these questions to rest for the foreseeable future. While the western powers are resolutely opposed to Russia re-uniting in a formal sense with Donbass or the broader historic territories of Malorossiya and Novorossiya and with the Russian government making no moves to advocate for a larger Russian Federation, such vexed are rendered irrelevant under the new plans from Donetsk. Many of the key elements of the MINSK II agreement that Russia, the EU and US still favour as a settlement to the war in Donbass are actually retained in the Malorossiya declaration. a. MINSK II calls for a cessation of violence and so does the Malorossiya declaration. b. MINSK II calls for local control and accountability throughout the present territory of Ukraine and so too would such a thing happen according to the Malorossiya declaration. c. MINSK II calls for all languages spoken in the territories in question to be respected and so too does the Malorossiya declaration call for full legal status to both Russian and Malorossiyan (aka Ukrainian). d. MINSK II calls for respect for self-determination in accordance with international law and of course so does the Malorossiya declaration. The biggest stumbling bloc to the MINSK II agreements is that the current Kiev regime simply does not want to attempt to implement the protocols. There has been no ceasefire, no withdrawal of weapons, no full prison exchange and no movement on laws for local-autonomy, human rights, so-called inter-ethnic rights or language rights. Quite the opposite has happened, regime officials have called for total war and the killing of civilians continues to escalate. The problem with MINSK II is not that it asks the impossible, the problem is that it asks the rational from a totally irrational regime. It is a problem of personalities and their ideology, not a problem of the content itself. Much of the content of MINSK II which stresses peace and local rule is not only preserved in the Malorossiya declaration but it is actually enhanced. 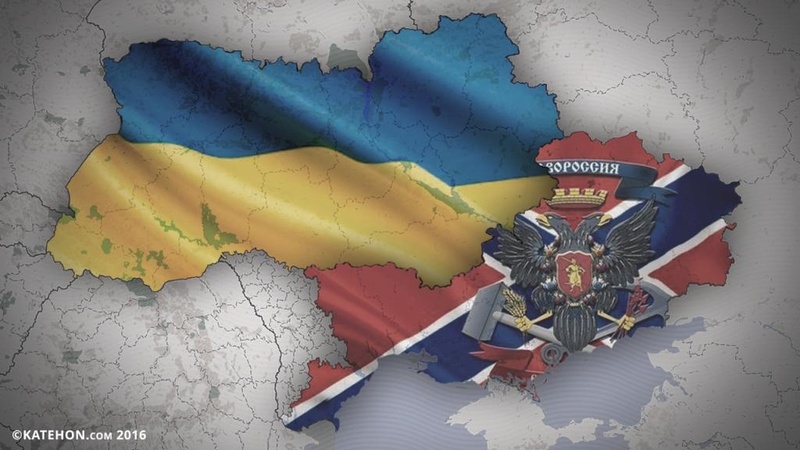 The Malorossiya declaration would see most areas which currently comprise Ukraine remain united or in some cases (Donetsk and Lugansk) become re-united into a single indivisible state. All that would change would be the style of government, the constitution and name of the state. It would literally be a successor state with virtually the same borders. Even the most ardent Russophobes in the EU often hold their collective noses or look the other way when faced with the fact that the current regime in Kiev is one which promulgates fascist ideology, that which is illegal in many EU states. This the current regime is popular in many EU quarters less because of what it stands for than for what it stands against: good relations with Russia. This is a position which was always financially untenable for both Brussels and Kiev and is increasingly becoming a political headache for the EU which now has its own major crisis of integrity, namely, Brexit. Likewise, countries have the right to change their name both in war time and in peace time. This for example is why the country still commonly referred to as The Czech Republic prefers to be called Czechia. Sticking with Czechia, this is why when Czechoslovakia spit in 1993, it was called a Velvet Divorce, both countries retain an open border, have good relations and are both part of the European Union. Without advocating for a position of joining Russia, the Malorossiya declaration allows for the current borders of the state now called Ukraine to be essentially preserved while allowing for the possibility of regions, ostensibly those who reject the Russian heritage of the most of Ukraine, to remain as part of a separate sovereign entity. This would most likely manifest itself with regions formerly belonging to Poland/Austria and Hungary/Czechoslovakia to remain sovereign states who pursue a different geo-political path from Malorossiya. If this is what people want and if this is what people vote for, it is called self-determination and this is also part of the MINSK II agreements as well as more importantly, a recognised protocol of international law. Statements made in support of the Malorossiya declaration specifically mention the Union-State which since 1996 has existed between Russia and Belarus. Under these provisions the states have open borders, a common customs area and cooperate intensively in crucial matters of trade, economics and security. Both states remain sovereign according to this agreement and both states are entitled to disagreements, a privilege that Belorussian President Alexander Lukashenko has frequently invoked throughout the years. Had Ukraine’s last legitimate President Viktor Yanukovych not been overthrown, a similar agreement could have well been on the table between Ukraine and Russia. In many ways, as mutual members of the Commonwealth of Independent States, many of the aforementioned realities already existed in respect of Kiev’s pre-2014 relationship with Moscow. For those concerned about normalcy returning to the region, this is far from a radical proposal in this respect, it is actually simply going back to the last time Ukraine was a semi-stable state prior to 2014. The Malorossiya declaration tolerates everything that all observers to the conflict could genuinely and reasonably expect from a post-conflict settlement including a commitment to human rights, language rights, the right to an education, the right to democratic self-determination and the right to live in a country with much needed constitutional reforms. Surely changing a country’s name is less severe than disenfranchising a large portion of the country’s citizens? But in harassing Russian language schools and teachers, in shutting down Orthodox Churches which are part of the Moscow Patriarchate and seizing their property, by prohibiting the use of the Russian language and by shutting down Russian language television, radio and websites (including social media), the current regime is acting in a manner incompatible with normal, modern human rights requirements. Frankly, if the proposals didn’t come from Donetsk and one read them to a middle-level EU politician, many might find such a politician saying, “It sounds like a revised Ukraine with an acknowledgement of the region’s history without the fascist elements”. Indeed that is all it is. “…this is NOT A REVOLUTION! This is a return to history. This is a novelty that restores, not destroys”. One would be hard pressed for a more accurate description of what is being proposed. There will certainly be growing pains along the way, but better to grow in a spirit of refreshed and revitalised peace than to descend into the childish anarchy that is the current Kiev regime. The proposal is a solution. There are no other solutions. All it takes is for the US to cease paying for the war. Will Trump go for this? It removes the lunatics from the new entity. It will be less corrupt. However, the American project has been 26 years in process, and it has many authors and many nurturers along the way. Putin will have to sell it. It didn’t come out of nowhere. It’s the perceptual Gestalt of the present Ukraine. Now a small Donbass embraces most of Ukraine, leaving a small Banderstan for the nazis and NATO. problem is that it asks the rational from a totally irrational regime.” Great quote, Adam Garrie! Can someone clear up for me, please, where the Donbass and Lughansk thing fits in here. I see “Donbass” being used to cover both, and then sometimes only part of the region with Lughansk being referred to separately. I’ve been unable to see where they fit with each other for a while now – and am currently no wiser. The map gives me no help as – at least on my pc – it is too blurred to be read. AGree with you Peter. The Galicians should re-instate the country of Galicia, a sort of enclave of Polish Banderites with some vaguely Ukrainian leanings. They seem to be a bunch of people who feed off hate – they should all get together in a walled off community and left to get on with it. I remember Dmitry Orlov saying an old Russian curse was ” Go to hell – and take Galicia with you”.